As a record number of people made their way over to the stadium for the Texas vs. USC game on Saturday, a party was underway at the UT School of Law. 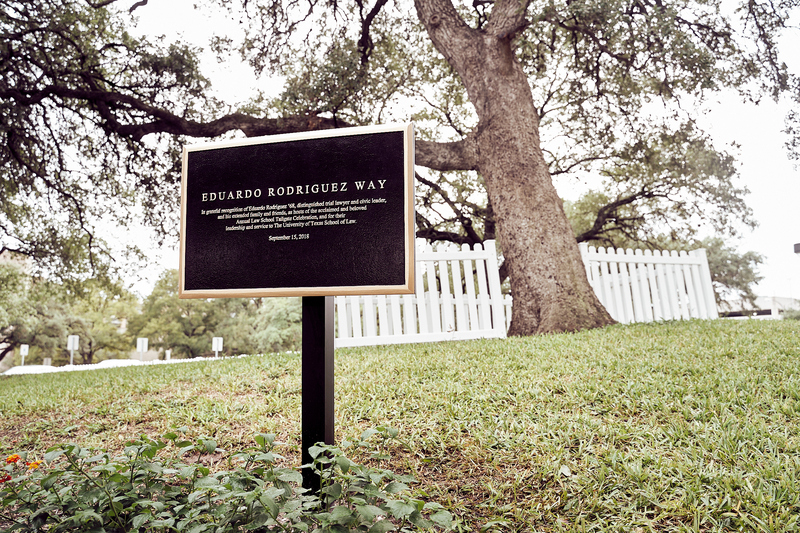 Nearly 1,200 people gathered in the breezeway for Texas Law’s 20th Annual Tailgate Extravaganza, ready to eat the legendary barbecue from the man who’s been cooking at these events since day one: Eduardo Rodriguez, LLB ’68, Life Member. 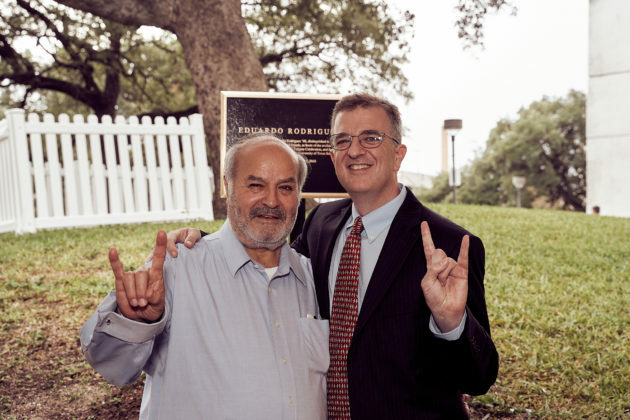 Rodriguez has been a stalwart supporter of UT Austin since graduating with his law degree. He serves on the Board of Directors for Texas Exes, received the Honorary Order of the Coif from the School of Law, served as president of the UT Law Alumni Executive Committee, and was part of the Chancellor’s Council Executive Committee of the UT System. 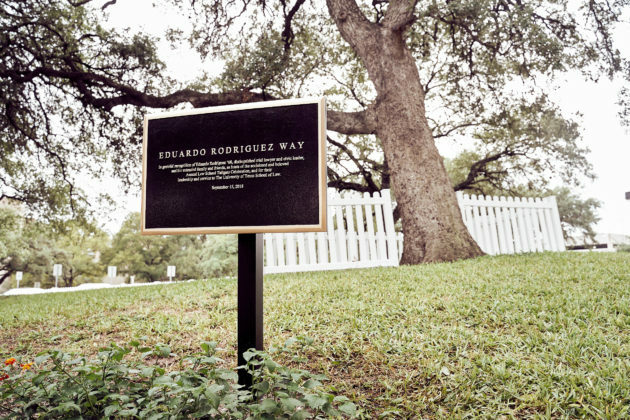 Just the day before the barbecue, the law school held a small ceremony where Rodriguez’s friends, family, and Dean Ward Farnsworth unveiled the plaque. From left, Eduardo Rodriguez; Ward Farnsworth.